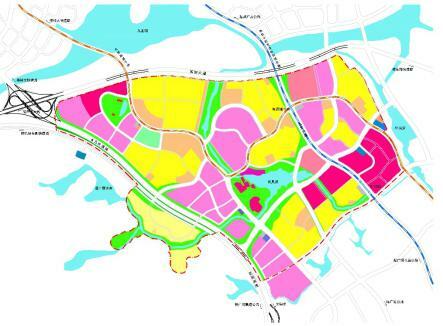 Covering a total land area of 260,000 ㎡,the CFA of Vanke happiness is 800,000㎡ with its plot ratio is 2.7. There will be 5800 families living here. Perfect facilities such as kindergarten and primary school are available. The project is expected to be completed at the end of 2016. Oriental International Medical Valley is located at SSGKC with a planning area of 2 square kilometers.It is a cooperation platform between existing medical care resources in China and high-end medical research institutes from Singapore. NCs provide integrated neighborhood child care center, supermarket, beauty salon, food court, and government and healthcare services to the surrounding residents.It will be formed and an incentive mechanism will be established to encourage social organisations and volunteers to provide various services to SSGKC residents. The 30-hectare Ascendas OneHub Business Park, a project jointly developed by Ascendas Pte Ltd and GKC Co, is being constructed in phases. Completion of its first phase will include 217,000 square metres for the use of business space, lifestyle amenities and residential facilities. 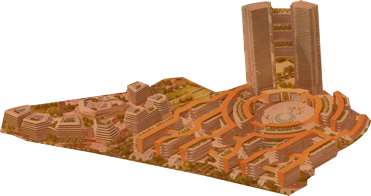 Covering a planned area of 31 hectares, the E-Innovation Valley will include an integrated retail, commercial, business and residential cluster, which includes operational headquarters, smart R&D industries, international healthcare and a vibrant community. Covering a total land area of 103890 ㎡,the CFA of Horizon Lakeview is 260283㎡ with its plot ratio is 2.68. There will be 2200 families living in stage 1 of the project. When fully developed, Horizon Lakeview will become an international eco community with full residential amenities, schools, sports and entertainment facilities. IP Hub spans 49 hectares and will be located in the Southern Start-Up Area. The SIPO’s Guangdong Patent Examination Cooperation Center and Guangdong Intellectual Property Services Park will be developed in a site where its overall design will be undertaken by Singapore’s Jurong International. 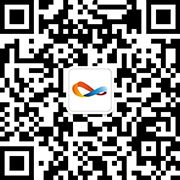 SSGKC will develop an integrated IP Hub focused on IP trading, evaluation, pledges, information services, agency services, training and financing for not only Southern China, but the rest of China. 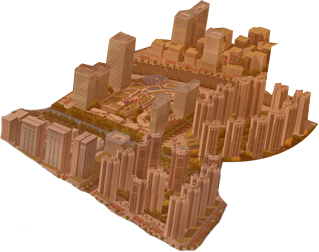 The Start-Up Area (SUA) of Sino-Singapore Guangzhou Knowledge City’s (SSGKC) is a microcosm of the City envisioned by 2030. The SUA will set high standards in construction, urban management, business and investment. In addition, the plans for industrial, urban and community management today will set the future di1rection for the expansion and growth of the City. 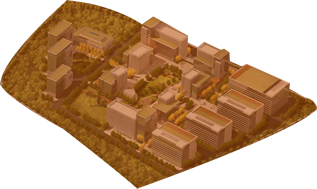 The Start-Up Area comprises 6.27 sq km out of the overall 60 sq km of developable land in SSGKC. One-sixth of the land will be developed for residential use, a half for high-tech business parks, and the remaining one-third for government, amenities and green spaces. Currently, the key infrastructure has been substantially completed and Fenghuang Lake has finalized its last stages of landscaping. A third of the available land is also currently under construction and the first developments will be launched for sale in 2014, with the first residents and workers moving in 2016. When completed in five to eight years’ time, the SUA will house some 78,000 people and provide an estimated 45,700 jobs. Residents will have easy access to a good mix of housing, vibrant commercial districts with excellent shopping, and exciting job opportunities in the many high-tech industries, offices, and R&D facilities. Communities will be well served by conveniently located neighbourhood centres and schools, both public and international. 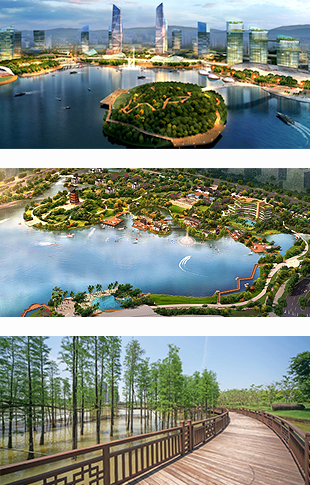 Signature landmark buildings, lush greenery, and a 17-hectare scenic lake at the heart of the SUA will help ensure a rich urban landscape for all its inhabitants. 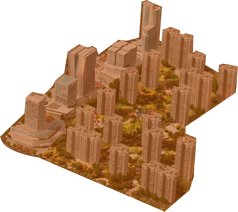 A Live, Work, Learn and Play Concept built on a Transport Oriented Development (TOD) model, whereby development intensities around major transportation nodes are highest and whereby land uses like residential, business park, commercial, government, amenities and green are inter-mixed within the SUA. Planned within the city centre is a Government Administration Centre that is surrounded by a lake, business parks, commercial and residential developments. Away from the city centre, residents will find daily amenities within the five planned neighbourhood centres, schools for their children and jobs within well distributed business parks. Supporting planned developments is a hierarchy of main-arterial roads and minor roads that follows closely the natural hilly terrain of the SUA. Main-arterial roads connect all land parcels to the metro stations and Jiu Long Avenue, while minor roads within land parcels serve different uses within these parcels. A green and blue plan comprising large and small parks and water bodies of different sizes enhances the character of the city and improves the living environment by providing well located spatial and visual reliefs and activity nodes where buzz and human activities can events can take place. Connecting these parks and water bodies is a well-planned Slow Movement System that allows residents to walk and cycle to the city centre and to other areas of the SUA. 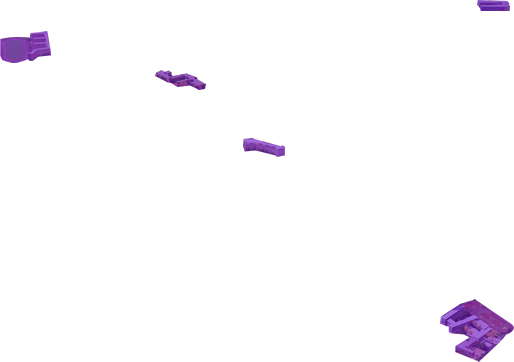 Copyright©2015 Sino-Singapore Guangzhou Knowledge City Investment and Development Co., Ltd. All rights reserved.